A contribution to this week’s Photo Challenge, Half and Half. This entry was posted in Nature, Photography and tagged Half and Half, Ocean, Photography, postaweek, postaweek2015, Sunrise, Weekly Photo Challenge. Bookmark the permalink. 👍👍 Stunning! One of the nicest photos I have seen on WP this week. 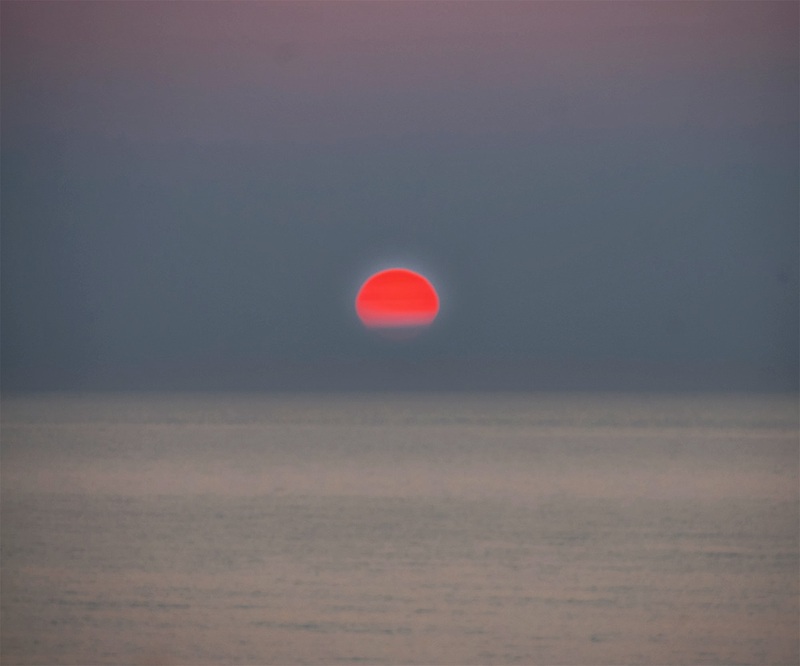 Wow, that’s a very red sun. Excellent photo! You caught the special color of the sun perfectly and the simplicity of the rest of the photo really highlights it. Sunrise or sunset? Red sky in morning or red sky at night? Either way, it’s certainly a delight. Beautiful.